On the official SWTOR website, it was announced that there would be starting a Community Cantina Tour. The first stop on this tour will be October 11th, during New York Comic Con. The community team and developers are planning four of these “Meet & Greet” events. The first, according to the write up on the official site, will be at the Houndstooth Pub from 7pm-10pm EDT. Besides meeting some of the community team and developers, there will be giveaways, trivia and complimentary drinks & food…sorry kiddies you must be legal drinking age to attend. For more details about the event during New York Comic Con and if the other events will be in your area of the United States, be sure to check out the link to the article. Hey everyone, we do have plans to label schematics to make it clear whether or not it is already known by your character, but don’t have a timeline as to when this change will take place. It’s definitely something we want to add to make schematics easier to assess! While yes, it is good they have this in their plans to fix…why wasn’t this already in the game? As someone who enjoys crafting, it is frustrating to double check my crew skills page to see if a schematic on the GTN or in our guild bank is one I need or one I already know. I understand this is a minor detail in the scheme of things, but it is one of those things that should be a no-brainer for an MMO. I love you BioWare, but please take to heart what the community says. This is a great community, with a vast knowledge of MMO games…use our knowledge, we beg of you. I asked Damion Schubert to give us a little more information about Cartel Coins. He let me know that Cartel Coins will be accessible by all characters on one account, but that they won’t be directly transferable between accounts. 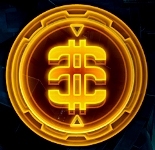 However, there will be some transferable items available for purchase on the Cartel Market. Okay, after BioWare has been beat up for things not going right in this patch, this dev note is a really good piece of information. Way to go BioWare for saying Cartel coins will be usable for all characters on an account. This means all of us with alts can have access to the coins instead of having to pick one character to have access to them, especially the ones, subscribers are accumulating. It has been awhile since we have heard from the Mayor of SWTOR, Dimbo. I am pleased to report he is still writing his great fan fiction. In his latest edition – Flashback part 1, we pick up with the story of Dimbo the Trooper. If you have read any of Dimbo’s previous work, you are going to be in for a pleasant surprise…this is, in my opinion, one of his best pieces of writing. Oh, and if you have not read any of his previous adventures of Dimbo the Trooper, shame on you, Head over to his site now and get yourself caught up with his archive section on the lower right hand side of the page. After getting all up to date, enjoy this next part of the adventure. Below is a small excerpt from the latest edition. Sqeeeeech, beeeep, SNAP! Came over the comms, I ripped out my ear bug, Sydor did the same. I check the frequency and there was still static, “Switch to alternate comm. Frequency,” I told Sydor and we both did. “Comms, check, Echo one, do you copy?” I said into the comms. No reply. Sydor and I had taken cover behind a large crate to try and reestablish comms. “Echo one, this is Echo two, do you read?” I tried again. Sydor had gotten out a frequency scanner but wasn’t getting any reading on any other frequencies. I wanted high ground. I didn’t want to walk into a trap. Hard to believe it is already October. Soon the leaves will be falling and cooler temperatures will be here. So as you take in the colors of fall and enjoy the weeks of being able to go outside without a jacket, don’t forget to keep up with your favorite articles and podcast here on Corellian Run Radio. We will keep you up to speed with the latest news and opinions in the community concerning Star Wars: The Old Republic…of course with just a dash of humor for taste. As you check out our writers’ articles be sure to take a moment and submit your feedback and suggestions in the comment sections of their articles. We love to hear from you. Thanks and enjoy the links below. 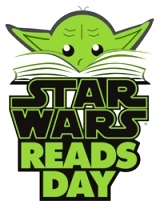 October 6th, this Saturday will be the first ever Star Wars Reads Day. The idea behind the event is to celebrate and promote reading and of course share the wonder that is Star Wars. On the official Star Wars website, they have a great link talking about the event for this Saturday. Now, although it is considered one event, it is actually well over a 1,000 events all happening on that day…in libraries, bookstores, and even a blood donor site, if you can believe that. On the website you can see an interactive map. Each one of those orange tags represents an event for Star Wars Reads Day. If you have questions, be sure to read through the FAQ. Use the map and locate an event near you. Some of the events they will have, besides reading, will be raffles, Star Wars characters, authors of some of your favorite Star Wars books/comics etc in attendance. Check the locations nearest you to find out more details on a specific site. Check out these links for some activities you and your family might want to do or maybe even your local library might want to use.